Quite a few years ago I saw a peculiar sight. 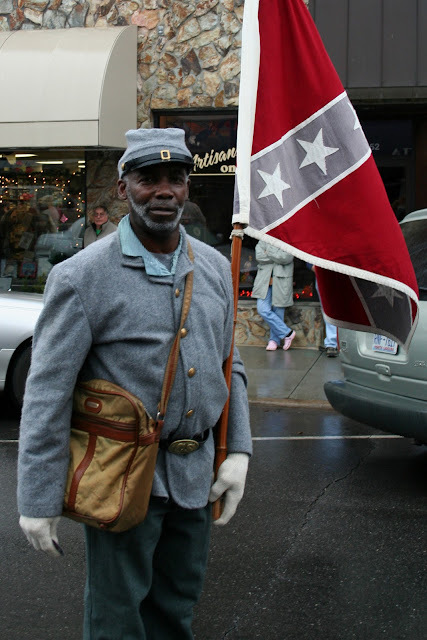 Me and my wife were driving through Sylva, NC and spotted an African-American man was walking down the sidewalk carrying a Confederate Flag. 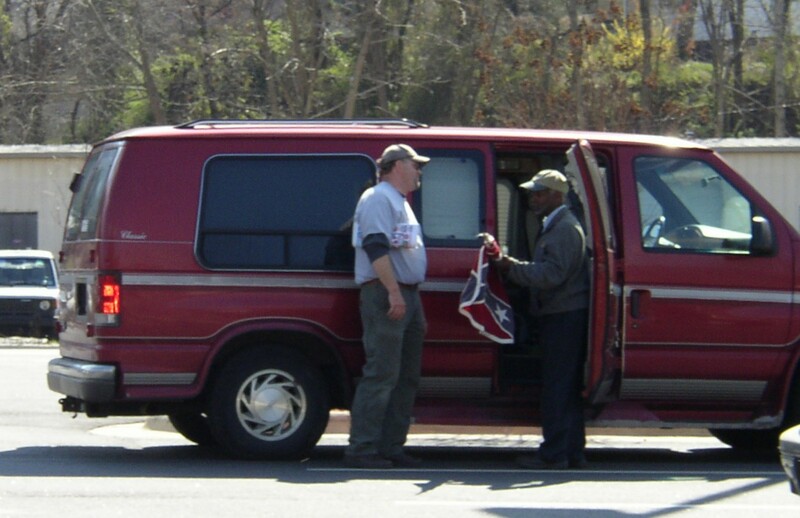 My wife did a dangerous u-turn and I quickly snapped a picture of him as he rolled up his flag, got in a Van and disappeared. After asking around I found that this man was H.K. Edgerton, an usual and controversial local figure. A few years later I was innocently watching the local Christmas parade, flanking Santa Claus was H.K. Edgerton. This time I chased him down on foot and introduced myself. He happily posed for a picture. So, who is this walking contradiction of a man? Believe it or not H.K. Edgerton was previously the president of Asheville, NC chapter of the NAACP. But at some point H.K. had a change in philosophy. Edgerton became an activist whose primary purpose was to defend the confederate flag. Edgerton has gone on marches to Texas and to D.C. trying to promote his Southern Heritage. Every time there is a local controversy involving the Confederate Flag the newspaper lets Edgerton give his two cents. 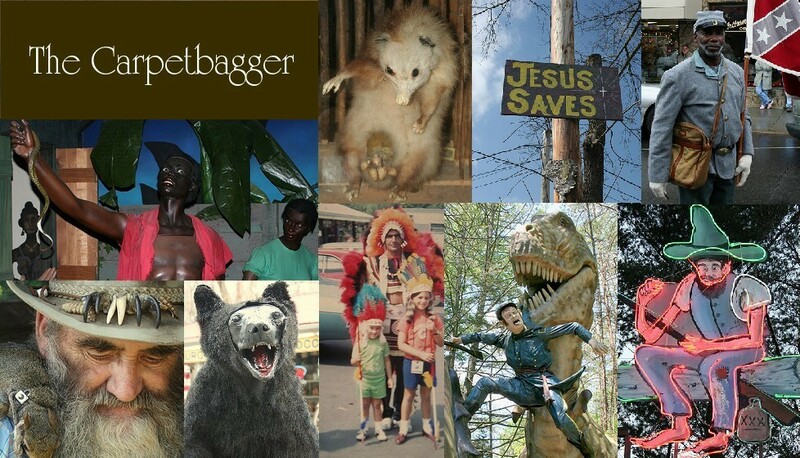 The truly disturbing part is when you venture over to Edgerton. 's website. Edgerton disputes that Slavery was the primary cause of the Civil War. Even more troubling, Edgerton defends slavery, painting the relationship between slaves and their owners as harmonious and loving. He also claims that African Americans fought for the confederacy, which is a questionable claim. From what I have read, they were not allowed to be soldiers, but did have roles where they assisted on the battlefield. One would wonder what would make a man seemingly betray his own heritage. Well, take a look at THIS. It turns out that at the events that H.K. attends he is not simply showing up at over a sense of confederate unity. H.K. charges an appearance fee. H.K. charges a 20,000 dollar appearance fee, plus mileage. So, is Edgerton for real? 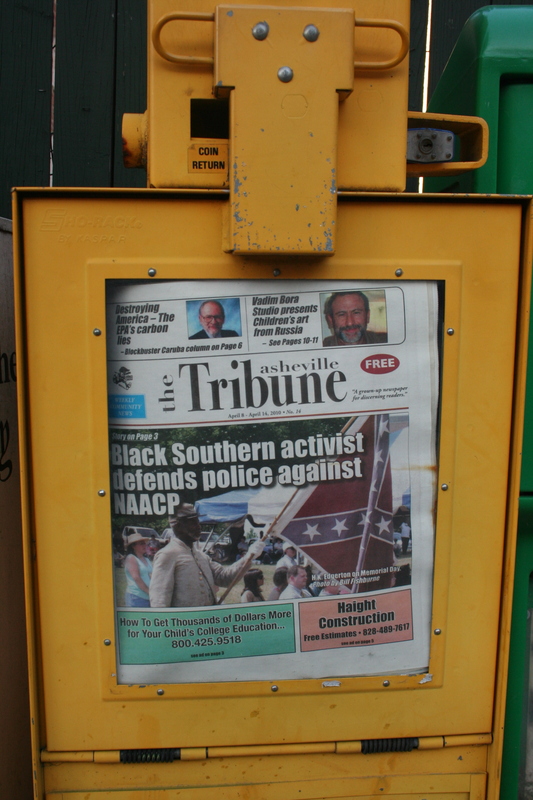 People who knew him as a NAACP president have expressed shock over his recent shift in views. Does Edgerton really believe what he preaches, or is he cynically selling himself to Confederate apologists as a way to erase their guilt? Maybe he laughs his way to the bank. Anyway you look at it, Edgerton is a true Southern Enigma.